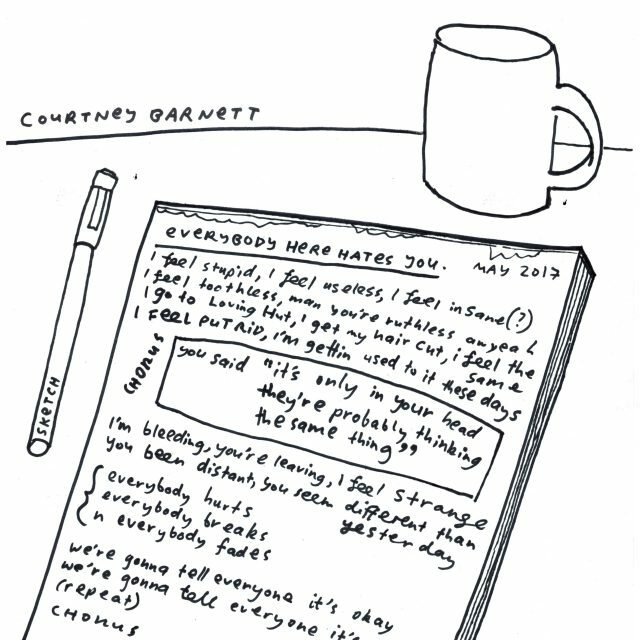 omgnyc: Courtney Barnett - "Everybody Here Hates You"
"Everybody Hates You Here," written during the same sessions as last year's great Tell Me How You Feel, is a rocking slow jam which proves that even Barnett's outtakes are worthy of special releases. Steady drums keep the track grounded as Barnett's jagged guitar shuffles along, building to bar-band style singalongs that transform into rugged, blues-driven solos. The jangle-pop tendencies of some of her catchiest work still feels ever present, but she shows no sense of falling into repetition. As usual, her spry lyrics heighten the song, adding more depth and added nuance with each listen and prove that she is one of the most consistent and solid songwriters in the indie rock world today.